Following months of preparation, ECR Engines and Cadillac return to Daytona International Speedway this weekend to try and clinch their third-consecutive win in the Rolex 24 Hour at Daytona. 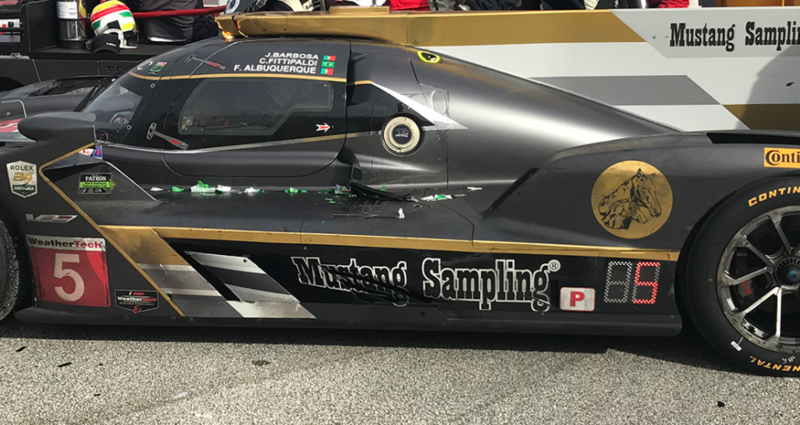 Scott Meesters, Sports Car Program Manager at ECR Engines, recently sat down to talk through the team’s recent experience at the Roar Before the Rolex 24 test session and what they’re focusing on now to be ready when this year’s Rolex 24 kicks off at 2:35 p.m. ET on Saturday, Jan. 26. How did the Roar Before the Rolex 24 go this year and how does it help ECR prepare for the Rolex 24? “ECR has an increase in our customer base this year. We went from three full-time teams to six fulltime teams, so it’s been a very busy offseason for us, and the Roar provided us a chance to check in with all our teams. “Overall, it went very well for us. The Roar is vital for our teams in helping them get used to what the conditions and cars will be like during the Rolex 24. Each team will have four drivers for the 24 hours, with two of them being their primary drivers for the year. The two non-primary drivers spend a lot of time in the car, getting a lot of practice and doing a lot of driver changes to be ready for the Rolex. They have to change the driver, take on fuel and change the tires in 30 seconds during the actual event. When you say you have different engines on track this year, was that a series-mandated change? Or one ECR came up with on their own? When do changes have to be made by in order to be implemented in the next season? Or is it a fluid change throughout the year? What will it take to win the Rolex 24 for the fourth consecutive time?